Build More Muscle In Less Time! 1. What is it and where does it come from? 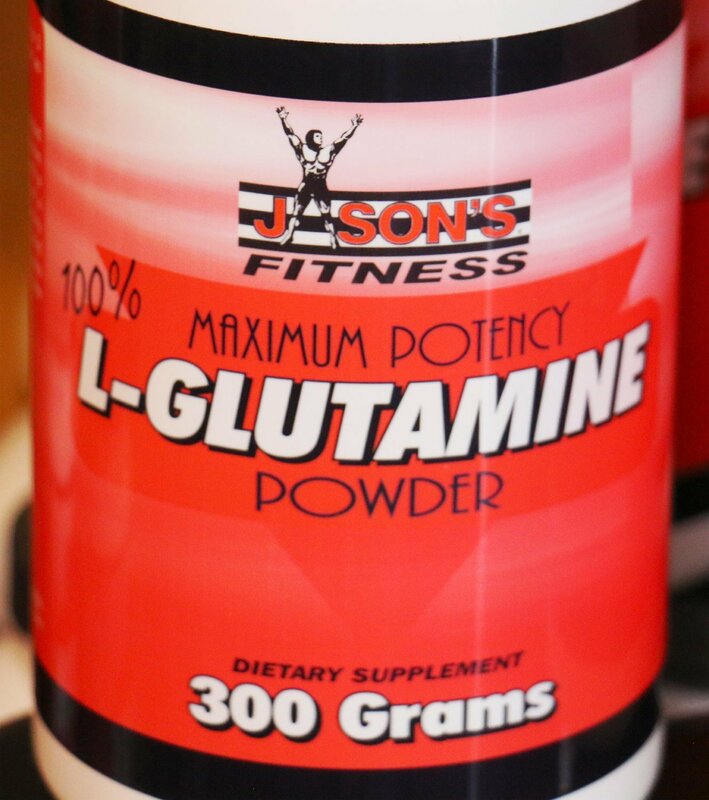 The extremely popular amino acid L-Glutamine can be found in protein powders, beans, meats, fish, poultry, dairy products, and of course, L-Glutamine supplements from Jason’s! 2. What does it do and what scientific studies give evidence to support this?Glutamine is highly in demand throughout the body. It is used in the gut and immune system extensively to maintain optimal performance. 60% of free-form amino acids floating in skeletal muscles is L-glutamine. L-glutamine plays a very important role in protein metabolism, and it appears to be a very important nutrient for body builders. When supplemented, it may help body builders reduce the amount of muscle deterioration that occurs because other tissues that need glutamine will not rob the glutamine stored in the muscle cells. Research shows that after intensely working out, glutamine levels in the body are reduced by as much as 50%. Since the body relies on glutamine as cellular fuel for the immune system, scientific studies have shown that glutamine supplementation can minimize the breakdown of muscle tissue and improve protein metabolism. Its effects on replenishing the body after stress or trauma have been shown in Europewhere it is commonly given to patients in hospitals. Glutamine's cell-volumizing effects have also been shown in several studies. No conclusive studies have been done to evaluate the effects of L-glutamine supplementation on weight-training adults; however, a recent study showed up to a 400% increase in growth-hormone levels when as little as 2 grams of free-form L-glutamine supplement was consumed! 3. Who needs it and what are some symptoms of deficiency? Bodybuilders and those who have been under a lot of stress or trauma (such as burn, surgery, and disease victims) can particularly gain from the intake of glutamine. Since bodybuilders use a lot of their glutamine when working out, they are more susceptible to illness, as the immune system relies heavily on this amino acid. Becoming ill or losing lean muscle mass are signs of deficiency. Catabolism or muscle break down can occur if the body robs muscles of glutamine for use elsewhere such as nitrogen transport or maintaining the immune system. Glutamine supplementation is certainly important in keeping muscles building--not deteriorating. 4. How much should be taken? Are there any side effects? Bodybuilders can benefit by taking ten grams of L-glutamine per day, although clinical studies have not determined a precise amount for muscle metabolism optimization. There are no side effects associated with L-glutamine, because it is a nutrient naturally occurring in the body.